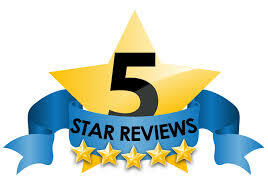 "I am very pleased with the seller and the product and I would highly recommend i!!!!! This is the first time I have used Niacinamide and I will definitely order it again!!!" "Smooth transaction, great product and price. Fast shipping! Five stars!!! Non-greasy; smooths hands and noticeably lightens liver spots with daily use. Love this product!" "I really like this product. Have noticed a difference after just a few weeks.My skin visibly looks less stressed, smoother and has a glow of moisture & health.Very easy to use, absorbs nicely into my skin." "I saw this product endorsed on the Dr. Oz show and really wanted to try it. I started using this serum. Both my wrinkles and pores are starting to minimize and my face looks so much healthier.I'm super impressed with it and will definitely continue to buy it. I love it!" "Of all of the hundreds of lotions and creams I've bought, this just might be the most effective. I've been using, I have noticed a huge difference in my sun spots and a slight difference in my wrinkles. I highly recommend this product." "I love this product and it works just great -- I really love it and hope to continue buying it for a long time." "Great product, excellent quality moisturizer. " "I have used all kinds of products under the sun, but this one is the best I have used bar none. I have combination to dry skin and this serum makes my skin feel like silk. It is not greasy or sticky. I use it once at night then in the morning. A little goes a long way. When I put my make up on. It goes on smoother and my skin feels and looks younger. Love it." "I've been looking for something to help ease the aging on my face. This product really works! It has softened the lines around my eyes - they've actually disappeared. The deeper lines have significantly softened. Also lines over my lips are softening. I would highly recommend this product to anyone." "The best serum I have ever purchased. Highly RECOMMENDED!!!" "My skin looks awesome from use. The smell was a bit different from other Vitamin C Serums that I used in the past but I got used to it quick." "I have very long color treated hair which is dry at the ends but oily towards the roots. This is by far the best organic argan oil that I have found that smooths the ends of my hair without creating extra oil in my hair. I also put it around eyes and forhead before bed. So far, my skin in those areas feels amazingly soft. I am very happy with my purchase!" "Thank you! For me, it goes on a little oily, but I don't usually put things on my face so I'm not used to it. I've used it in my hair hoping it will help with the dryness. Maybe need to use it a little longer." "It is a very authentic and epic product!"